Queen is a British rock band founded in 1970 in London by guitarist Brian May, singer Freddie Mercury and drummer Roger Taylor, completed by bassist John Deacon in 1971. With dozens of hits in the 70, 80 and 90, Queen is one of the most successful pop groups in the history. Queens breakthrough began in 1974 with the singles "Killer Queen" and "Now I'm Here" from the album Sheer Heart Attack and years later with the album A Night at the Opera with the No. 1 hit "Bohemian Rhapsody." Queen has a total of fifteen studio albums, seven live albums, two EPs, ten dvds, several compilation albums and dozens of singles. Also, all the band members solo projects undertaken. Estimated that the band has sold over 300 million albums worldwide,making her one of the world's most successful bands. After Mercury's death in 1991, John Deacon himself, after a few gigs, withdrew from public life. May and Taylor have continued to work together. From 2005 to 2008 they did this with the British singer Paul Rodgers. 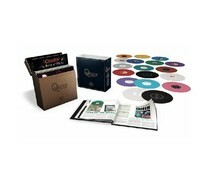 Under the name Queen + Paul Rodgers is a new studio album recorded and kept his two tours. In addition, a new album in 2014: queen forever. This album contains previously unreleased songs, including a duet between Queen singer Freddie Mercury in 2009 and deceased American singer Michael Jackson. The album consists mainly of new versions of previously released songs. 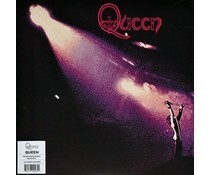 2016 EU reissue on 180g 2LP+MP3- comprising the group's best-selling hit singles from "Under Pressure" ,"The Show Must Gos On," "Radio Ga Ga," "A Kind of Magic," "I Want It All," "I Want to Break Free," and "Who Wants to Live Forever" among many more. 2015 EU halfspeed remastered on 180g vinyl from the Original Master Tapes, = including Tie Your Mother Down," " Somebody To Love" & "Good Old-Fashioned Lover Boy "